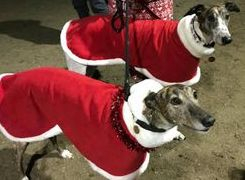 Bit of an unusual one for Bristol DAWG, but we feel very honoured to have been approached by Ellen Kent (Producer) as she would like to use two Royal Greyhounds in the Bristol Hippodrome production of Rigoletto. Amber and Trevor Watkins are having acting lessons (but that is just to keep both of them awake long enough to appear on stage!!) Colin will be accompanying them on Thursday, 18th January 2018, but, happily he will not be singing. 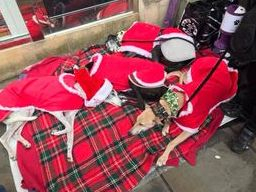 There will be a Press Release and Bristol DAWG will have a write up about the charity in the local press and the programme. We have been invited to undertake a bucket collection after the performance and with hundreds of people walking out the doors, what an opportunity. Firstly and I know this is a big ask as it will be a late night - (time to be confirmed, probably about 9.30pm), but I am looking for people (with their dogs) to attend the Hippodrome after the performance to collect with buckets, we need enough people to cover both exits whilst people leave - maximum only half an hour. Secondly, for all you opera lovers, Ellen has very kindly donated four tickets in the stalls, R row, in the middle, really good seats £38 each, for us to auction to raise funds. These can be split if necessary. Great Christmas present for anyone who enjoys the opera - please PM me if you are interested. 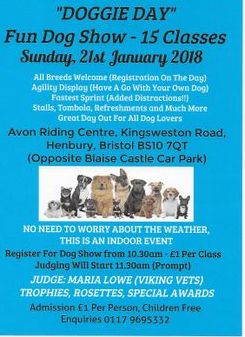 Bristol DAWG are looking forward to welcoming these three beauties to the kennels round about 12 December 2017. Christmas fund raising is going apace! 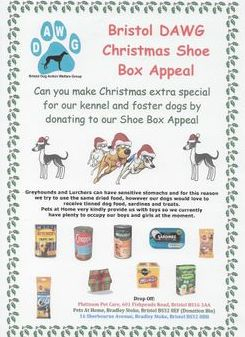 Many thanks to all those, too numerous to mention individually, who have made donations to the shoebox appeal or have made monetary donations in the lead up to Christmas. 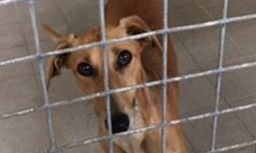 We were joined, at the kennels, in the early hours of this morning, by Dessie, Chanel, Hazel and Suzie. More details as we get to know this beautiful quartet, but thanks, as ever, to Kristie and James for getting up at silly o'clock to settle them in. Massive thank you to Hilary Ann Dixon and her family for the very kind donation of £120 from a family meal and raffle - you are extremely kind. This money will help dogs less fortunate than Murray and Millie. 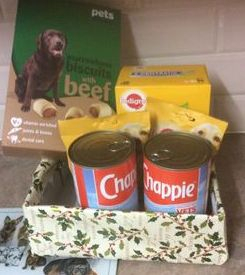 Thank you to Community Vets who had a party tonight and held a raffle which raised £169 for Bristol DAWG. We so appreciate your support. 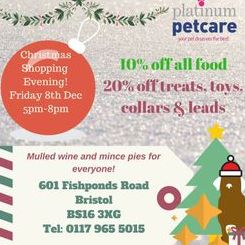 Our thanks go to Happy Hounds Dog Training who held parties at their morning and evening classes today, raising both money and food donations for Bristol DAWG. 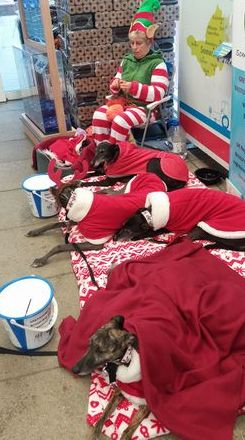 Dave, Lynne, Barbara and the hounds had a very good day at Chippenham, with the help of Faith and Imogen, raising £303.19. They send their wishes for a lovely Christmas and a happy new year. Today we said goodbye to Blu as he left for his forever home on Minchinhampton Common with Christine Robertson. He's now called Alfie and early signs are he's settling in well. He is a great character and so deserves the happy life that will now be his. Good luck Alfie and your new Mum from all at Bristol DAWG! Debbie has today completed the adoption paperwork for Mary who has gone to her forever home in Alveston. Thank you to Diane Barnard for giving this sweet little girl another chance in life. Massive thanks also to Deborah Martin for very kindly fostering Mary during the weeks leading up to her adoption. If anyone would like to join in, there will be a hound gathering on New Years Day. Good opportunity to get lots of fresh air to clear the New Years Eve headache and let the hounds have some fun. Meeting at The Lamb Inn, Iron Acton at 12:30 (not too early!) for a walk through the village to the meadows. Lots of lovely open space. All welcome, big or small! 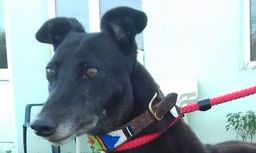 Gerry completed the paperwork for the lovely Lindy, (was Linda) today. It is fair to say that she has well and truly settled in and looked so happy. Thank you Hazel for giving this sweet girl her forever sofa (or two in your case!!). Another happy ending Eila Moloney. Massive thanks to Jess Ward and Andy for fostering Lindy and introducing her to home life - another success who was only with you a few weeks.